Thank you Manfred for sharing this. After quickly reading it (will go back soon and read more carefully) I really am enjoying what I'm reading and how the information is laid out. "Expression implies life, vivacity, content, substance, something flowing, a way of relating. It is difficult to measure expression, even more so to define what it is. However, it can be easily recognized when observed, in the same way that facial expression is. " That is very much how I see it. The use of "expression", as an important aspect of this presentation, is very subjective, but that does not make it invalid. Regarding your words I changed to green, are you saying that hand characteristics are given the same 'meanings' in hand analysis/palmistry? Or are you agreeing to how 'expression' is assessed in this study much as it is in hand analysis? While using the word 'assessment' I was only referring to the observation of hand characteristics - not the interpretation. So my comment only relates to what you describe in your 2nd sentence/question. who really shouldnt have been put away for so long, but due to her insecurities she never came out... I never knew her, so i cant comment on her or the family. I was never sure if she really was, or perhaps she was driven into this state, as i believe her husband and father were rather dominating people. Thank you for your interesting question. And I understand how you probably arrived at this association due to the facial characteristics that you've mentioned. However, I am very aware that the variations seen in the hands can be very large and therefore I can not answer your question in general. I hope my answer makes sense? The article about schizophrenia has been update with 2 new hand features related to the so-called 'primitive reflexes'; one of them - the palmomental reflex - is now listed as the 2nd most significant feature significant for the hand in schizophrenia! PS. Last month research from Nothingham have reported to have found evidence for the existence of a 'brain switch' that results in schizophrenia (see the video below); the frontal lobe is involved... which is also responsible for the 'primitive reflexes'! 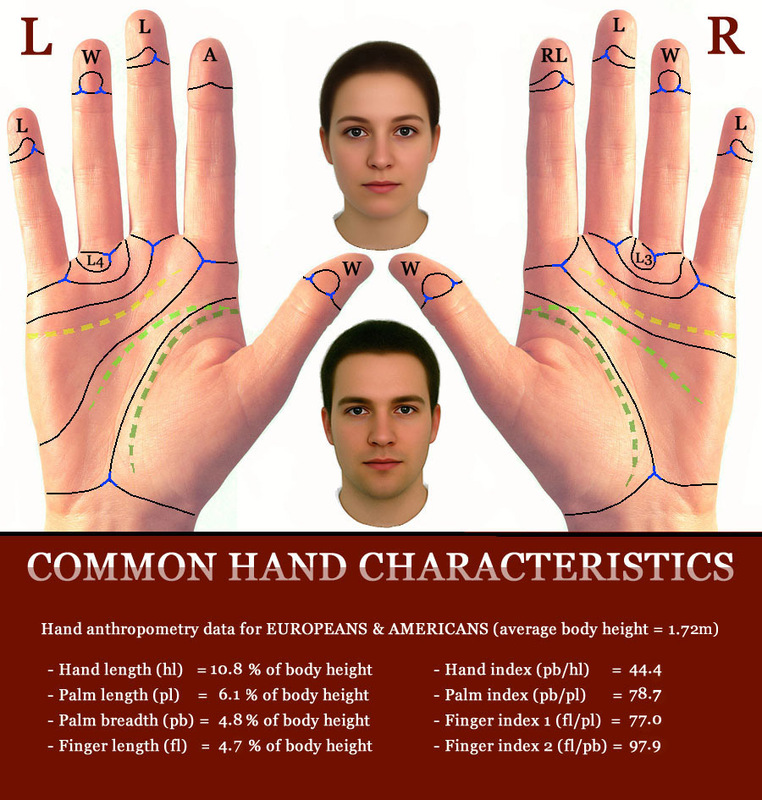 Schizophrenia & the hand: 47 hand signs! 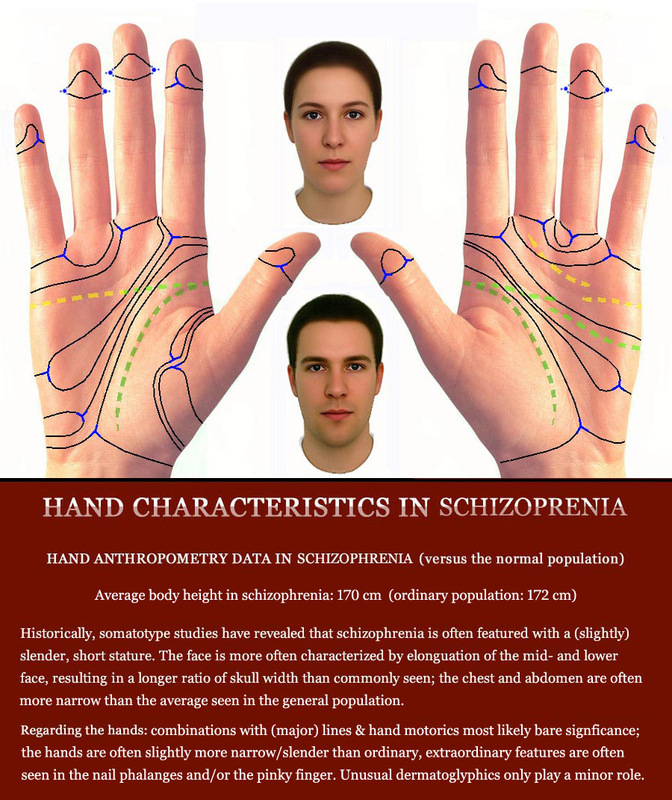 Schizophrenia & the hand system according Multi-Perspective Palm Reading!